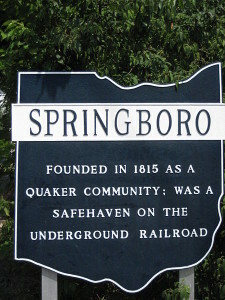 SPRINGBORO – Following complaints from a national atheist organization and various community members, a school district in southwestern Ohio announced it will be pulling two controversial community education courses that outline America’s Christian heritage. From July 9th through September 24th, faculty at Springboro Community Schools had planned to facilitate two courses on the U.S. Constitution. One of the programs was a 12-week class from the Institute on the Constitution (IC), while the other was a one-day seminar from the National Center for Constitutional Studies (NCCS). However, when the atheistic Freedom From Religion Foundation (FFRF) learned of Springboro’s planned curriculum, it quickly objected. Late last month, a FFRF attorney mailed a letter to the school district, arguing that the summer classes were blatantly unconstitutional and factually inaccurate. Soon after the FFRF sent the school district the aforementioned letter, several alumni of the Springboro schools together wrote and mailed a note to school officials, imploring them to put an end to the summer classes. The letter writers stated that they were “incredibly concerned” by the school district’s actions, and suggested that the community’s reputation was at stake. As previously reported, the Springboro schools have generated criticism in the past by attempting to offer students more balanced perspectives on various hotly-debated topics. Earlier this year, Rigano explained how presenting both sides of various issues helps students develop critical thinking skills which are vital for later life experiences.